Before the game at Stamford Bridge on Sunday evening all the talk had centred on José Mourinho and Antonio Conte. Both men obviously don’t like other and with the Italian under pressure at West London, it was believed that Manchester United would put the nail in the coffin for the Chelsea manager after a dismal start to the season. However, on Sunday, Chelsea showed fight, grit and spirit which throws a lot of questions going forward for us. United were outplayed, and Chelsea rightly got all three points, a contrast to the way Manchester City dominated the champions back in September which has left us 8 points behind Pep Guardiola’s men with just 11 games into the season. 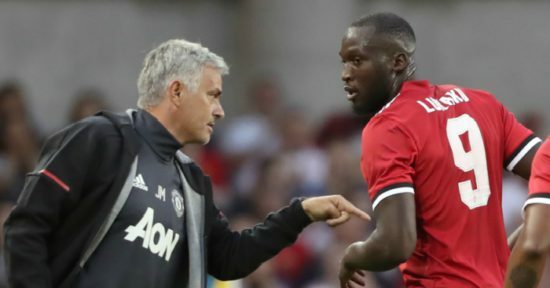 José has been criticised for stifling his players in big away games and it was evident yet again as Jose set his team to negate The Blues who were actually there for the taking given that they suffered a damaging 3-0 victory at the hands of Roma in the Champions League heading into the clash. The atmosphere at Stamford Bridge has not been the best in recent weeks, of which we should have taken the initiative to attack them and peg them back in their own halves. Curiously speaking, José has won just once in 10 away games against the Top 6 since returning to the Premier League back in 2013. There are no written rules about how football should be played, but at the end of the season, José may rue the missed chances by dropping points at Liverpool and Chelsea. For all the acquisitions since the last two transfer windows, United shouldn’t be defending all the time. The likes of Henrikh Mkhitaryan, Marcus Rashford and Romelu Ljkaku were all left frustrated as constantly, a safety first approach limited them. We have some truly attacking minded players and José must let them loose if we are to do well this season. While the style may have worked well for him in the past the times are changing and he must change as well. We can’t afford to keep dropping points in big matches, and Sunday showed evidence of the fact. We lost all the major battles on the pitch and the international weekend cannot come at a better time for José to really think about how to get us back on track after an impressive start to the season. For a club of our stature, we should be doing better and José knows that. Cowards always have cowardly tactics. Thanks to Mou we now fear to attack. The full backs are not good enough. Valencia gets the ball and as soon as he is confronted by a defender, he stops and passes backwards all the time. we lost simply because we are not good enough and lack motivation and commitment.